In this age of digital evolution, small businesses need all the help they can get to survive among big businesses but most are cut-off from getting loans to help their businesses. Fintech establishment came to the rescue. This establishment provided ways for this business to save money, be more efficient, and build better customer relationship; there is thousands of reason to adopt a swift-working method in running the affairs of your company, regardless of your place in the market. 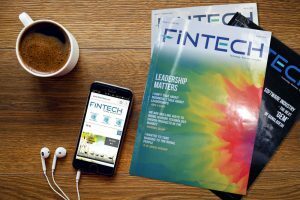 Don’t get too excited yet, what exactly is Fintech? Fintech coined from the marriage of two words finance and technology is the use of technology to make financial systems such as banks work more efficiently. To run your small business successfully, there are some Fintech companies keeping track of the digital economic clock and making a huge impact in the lives of small business owners and their working capital. We have taken the liberty to list 8 Fintech companies that are making waves in 2018. Zoho is a smart tool that helps small business develop their presence by using social media to reach the right audience at the right time. The Zoho app is a mobile and cloud-based app that means it can be used by anyone connected to it anytime and anywhere. This Canadian based company that provides accounting, invoicing, payment, and payroll software app for small business to enable them to track and create professional-looking invoices. The software apps also help you keep track of your taxes and keep up with your employees’ salaries. This is a modern flexible digital platform that eliminates the burden of falling behind on your rentals. The technology allows landlords and house owner to accept payment upfront using the Domuso risk-free online payments via credit card, debit card and ACH transfer at low rates. This service makes it easier to make all payment by a smartphone. Elavon converge is a Fintech app for small business such as mini-hotels and restaurants that make it easy to accept payment from a customer whether in-store, online or on the go from a mobile device. Elavon Converge is easily integrated into your existing hardware and payment infrastructure or easily accessed online with any special app. Hyperwallet is a user-friendly payment platform that provides upcoming business with an easy, open, and reliable way to handle their payments from anywhere in the world. The Hyperwallet allows choosing the currency that the payment is carried out without limitation of a hindrance. The Hyperwallet system is fast and efficient and a confirmation response is swift. LendGenius is online marketplaces that helps startup or small business owners with the options of funding and learn more about the financial options that can help their businesses. The platform provides small business with advice from expects through emails, phones answering all the questions that bother small business owners have before starting a business. This is a Fintech company that offers customers an easy way to make payment globally by accepting e-commerce, mobile, and POS. the Adyen software is used by most people without even knowing it, a global payment company that allows small business to accept e-commerce, mobile and POS. companies like Uber, Netflix, and Spotify are some of those that use the Adyen payment structure to accept payment from consumers. They are also used by fashion brands such as Zara and co. This is a system that allows business to receive payment from a customer through credit card, ACH transfers and to make payments too. This cloud-based service for small business integrates banking and accounting into a single platform to help manage cash flow and check bills online. This allows the business to check their account and finances when you are an accounting novice. It also helps to reconcile your books and keep them updated. So now you have an idea how to elevate your small business to greater heights by the use of financial technology. These companies offer excellent services that fit into your business schedule at a token. Their services are flexible, innovative and affordable while providing solutions to problems that small business owners face in the global market. Check out these companies or other Fintech companies to expand your business today.